This week has been a dangerous one for local drivers, as a cold front and a high number of drunk drivers on the road created unusually dangerous conditions. On Monday night, a motorist struck two men in SeaTac, killing one of them. Katherine D. Ferguson was described by the King County Sherriff’s office as smelling of intoxicants, with bloodshot and watery eyes. Her blood-alcohol content tested at 0.054, below the legal limit, but she told deputies that she had taken prescription medication. Many prescription medications can enhance the effects of alcohol or change the rate at which alcohol is absorbed by the body. 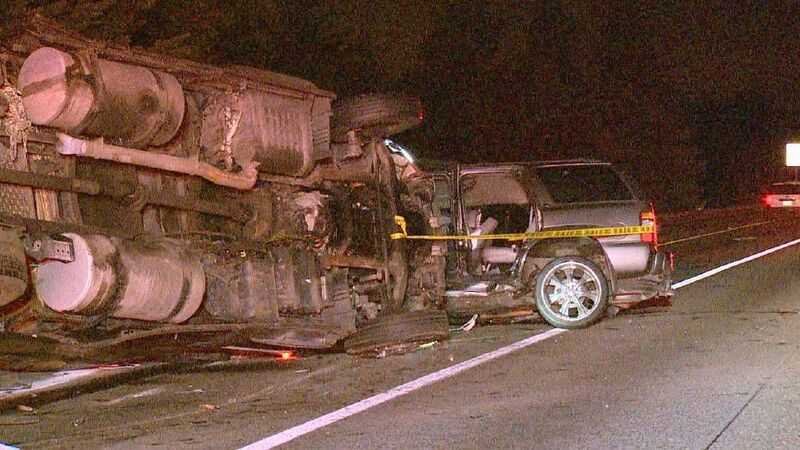 One victim, Abdule Mohamed, has died following the accident; the other victim is still alive, and the sheriff’s office has reported that he is in stable condition. On Saturday, Irma Tranquilino Pena was a passenger in an SUV that veered out of its lane and struck another truck. Irma was a mother of five and a popular singer in the local music scene; she performed at festivals, restaurants, clubs, and fundraisers. The Washington State Patrol has stated that neither drugs nor alcohol appear to have been a factor in the accident. Four other people were injured in the crash and were transported to hospitals. Robert Jackson was found hours after abandoning his crashed car and his dead girlfriend at the scene of an accident. Police have now revealed that he was one of the 3,200 convicted felons released too early from local prisons. At the time of the crash, he should have been serving out his sentence for robbery with a deadly weapon. Mr. Jackson has been arrested again and charged with homicide and felony hit-and-run for his behavior during and after the crash. This Saturday, a Chevy Tahoe travelling south on I-5 lost control and veered into a semi truck. The semi rolled over, resulting in a lengthy road closure as authorities feared that the heavy trailer might slide down a slope and cause further safety hazards for drivers. Police did not believe that drugs or alcohol were a factor in the crash. One woman, a passenger in the Tahoe, was killed in the crash. Nancy Hernandez Martinez of Kent, Luis M. Alvarez Macias of Kent, Peter J. Hisey of Everett, and Kim E. Vanhouten of Everett were injured and transported to local hospitals. A serious car crash can leave injured victims with massive medical bills and mounting expenses from time spent out of work. For the family members of victims who were killed in a wreck, funeral expenses and the loss of income and support from a beloved relative may be overwhelming. If you or a loved one has been injured in a car accident, it may be time to speak with an experienced car accident lawyer in Seattle who has extensive experience with car accident cases.